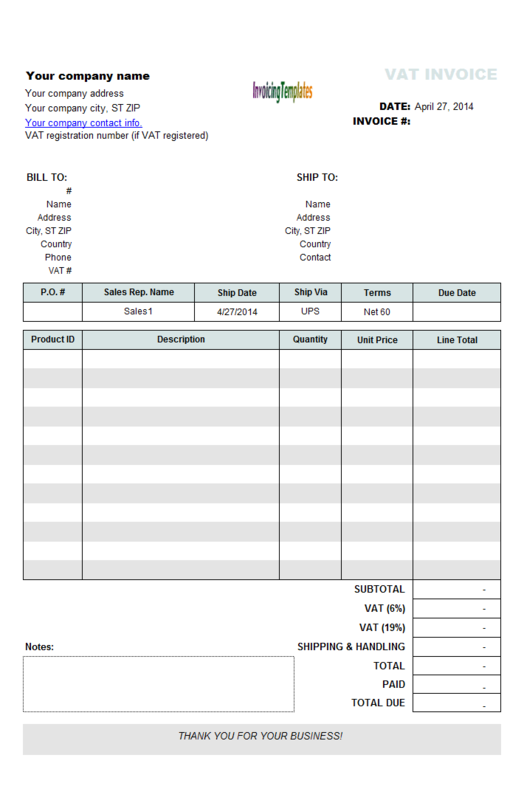 If you are running a Irish business and are charging VAT, a VAT invoice must be issued. 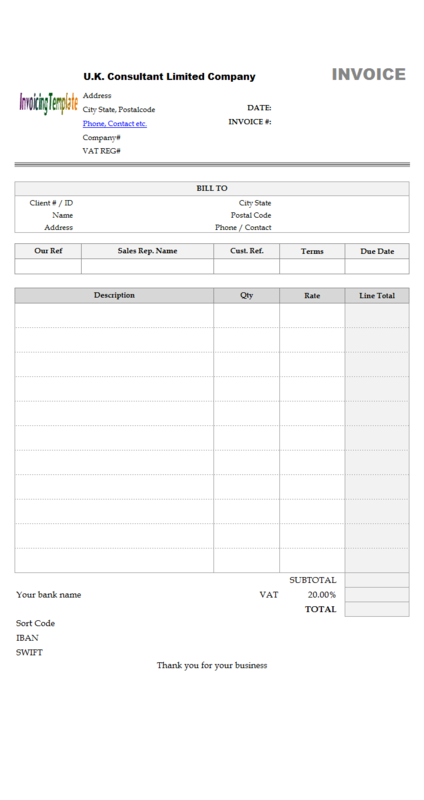 Use this free invoice template, Irish Sales VAT Invoice Template, or Irish Sales VAT Billing Form, to create your invoices as easy as filling a blank paper form. 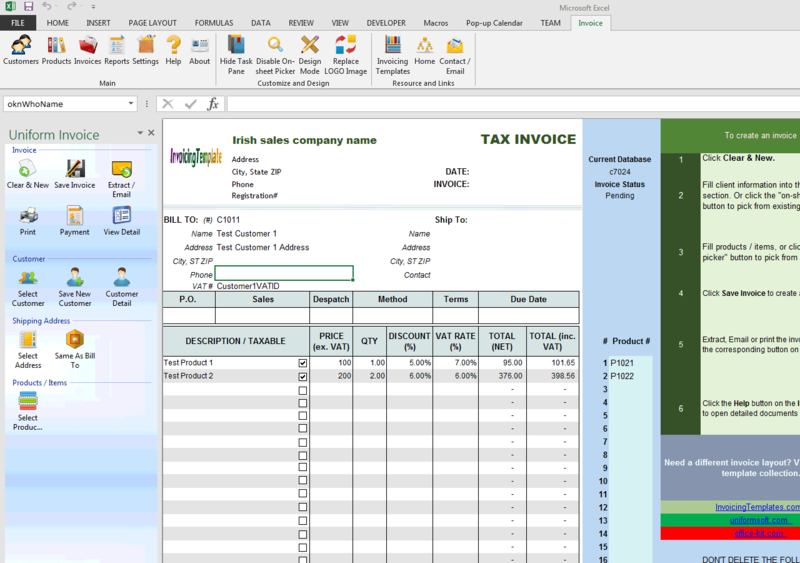 c7024 now includes the customized invoice template for the latest version of Invoice Manager for Excel. This is what you will see when you open irish-sales.xlsx. 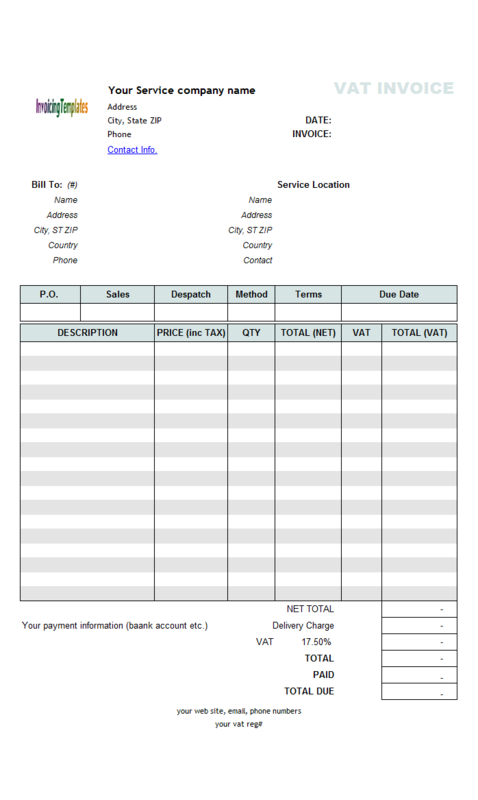 As Irish Revenue states: Persons who issue invoices and credit notes, and persons to whom these documents are issued, should ensure that the documents accurately represent the transactions to which they refer. 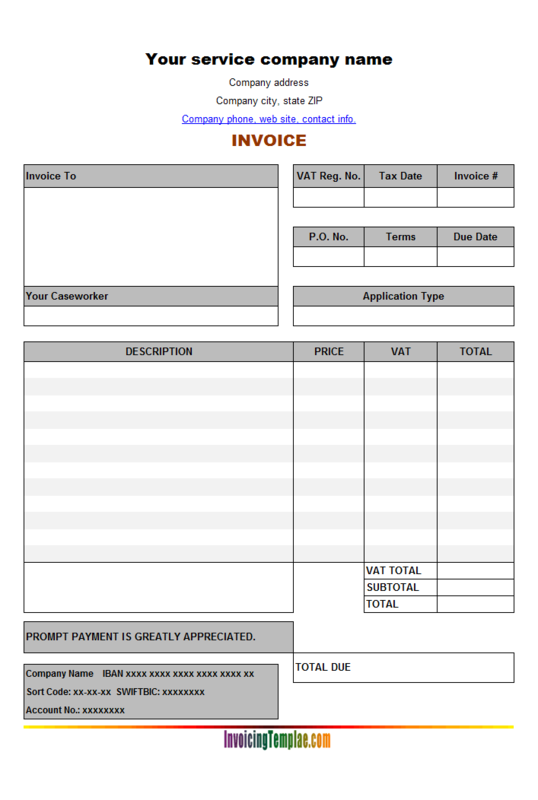 Failure to do so may have serious consequences for all parties concerned...... An accountable person who supplies taxable goods or services (other than construction services supplied under a relevant contract) is obliged to issue a VAT invoice. Value-Added Tax is a tax on consumer spending. It is collected by VAT-registered traders on their supplies of goods and services effected within the State, for consideration, to their customers. 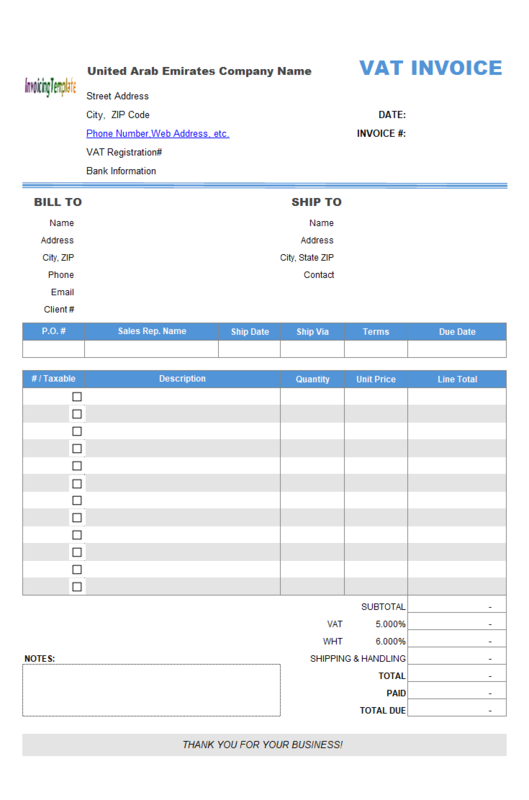 Generally, each such trader in the chain of supply from manufacturer through to retailer charges VAT on his or her sales and is entitled to deduct from this amount the VAT paid on his or her purchases. 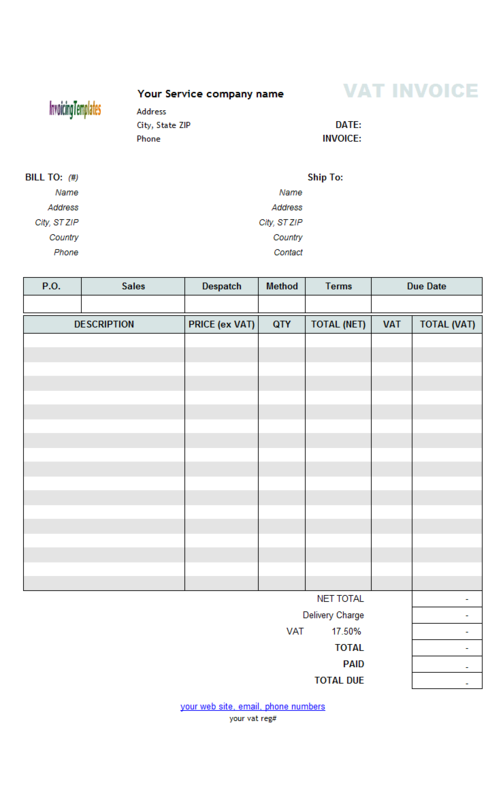 The effect of offsetting VAT on purchases against VAT on sales is to impose the tax on the added value at each stage of production – hence Value-Added Tax. For the final consumer, not being VAT-registered, VAT simply forms part of the purchase price. 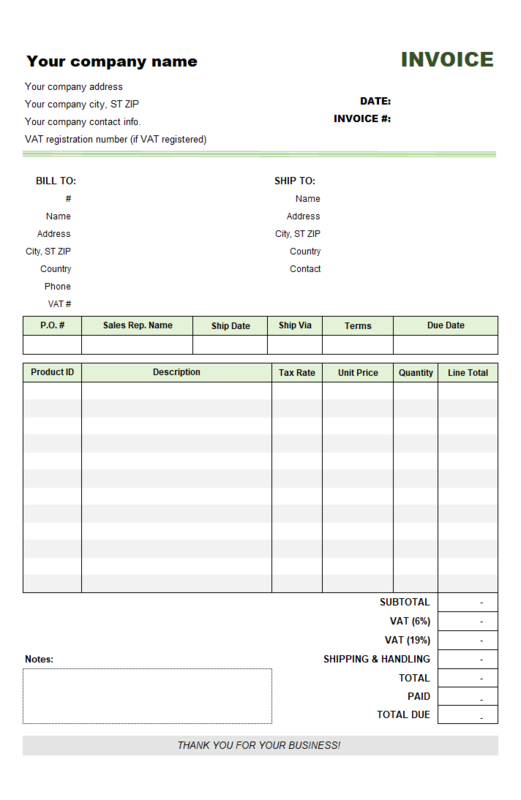 the consideration exclusive of VAT. 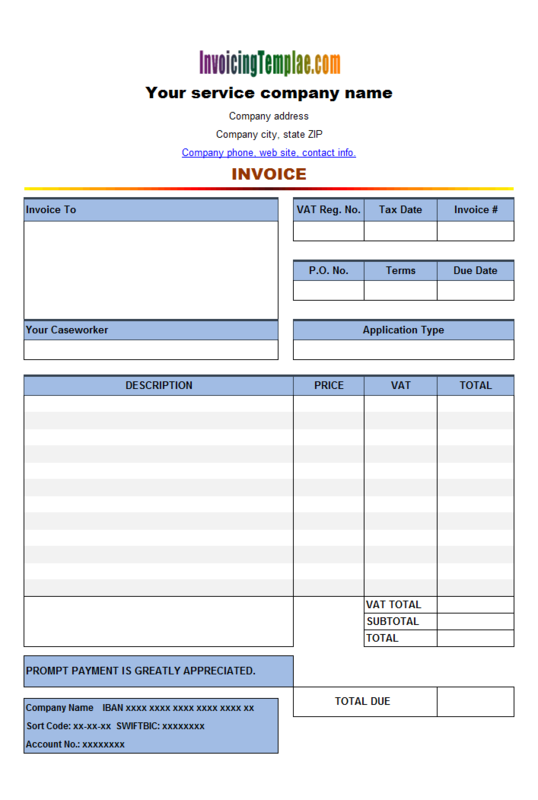 the rate of VAT chargeable. 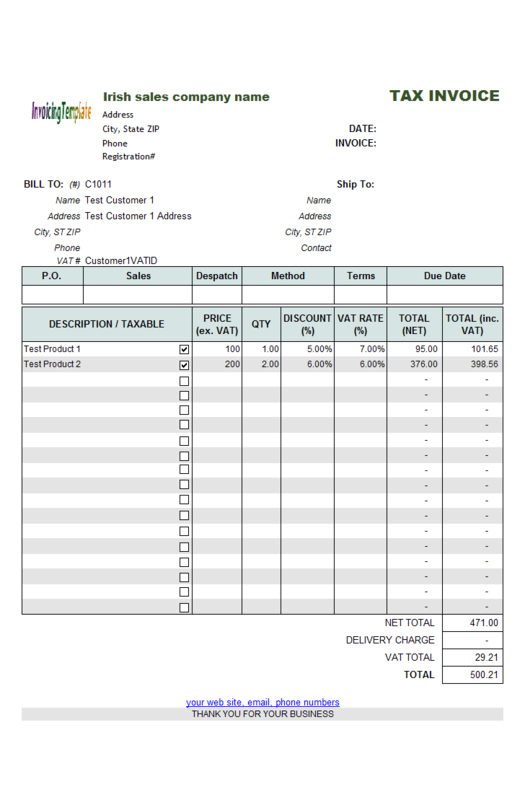 where the invoice should be clearly endorsed ‘Margin Scheme – this invoice does not give the right to an input credit of VAT'. in the case where a tax representative is liable to pay the VAT in another Member State, the full name and address and the Value-Added Tax identification number of that representative. 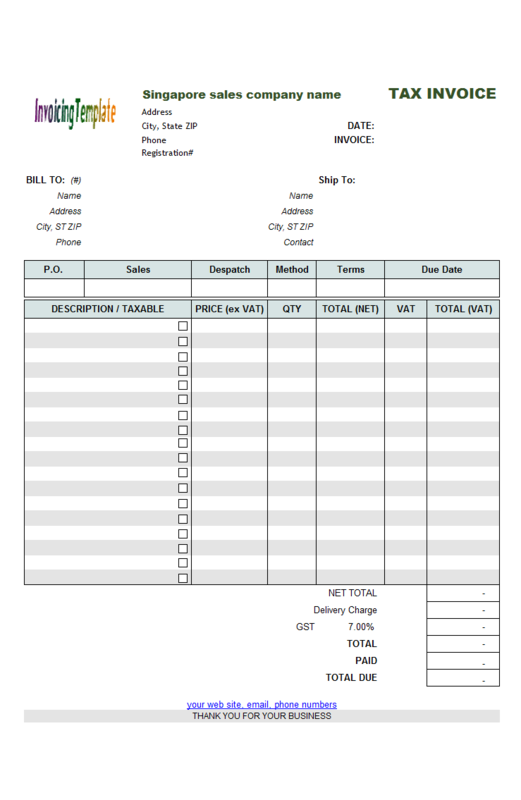 As per the requirements, to create this template, a new column "Discount" was added to the base template VAT Sales Invoice Template - Price Excluding Tax. 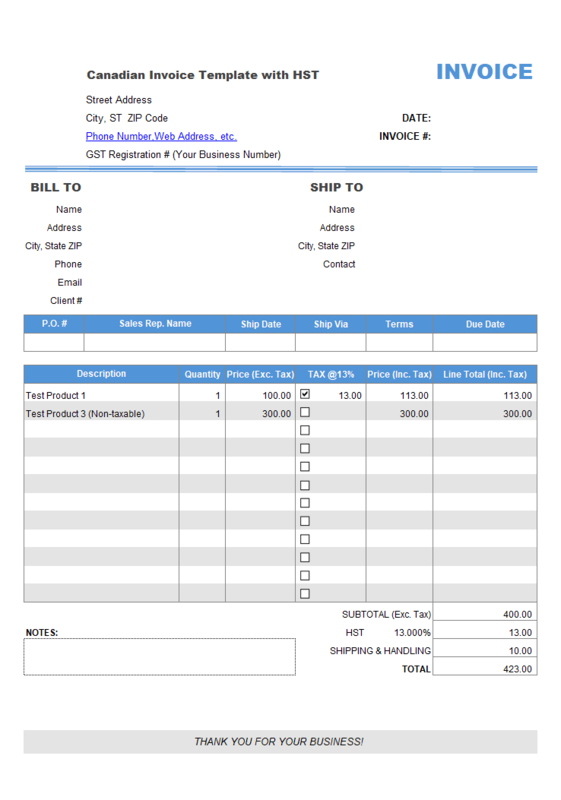 The "Discount" field is a custom field which is not included in the default invoice template shipped with Invoice Manager for Excel (namely Uniform Invoice Software) installer program. 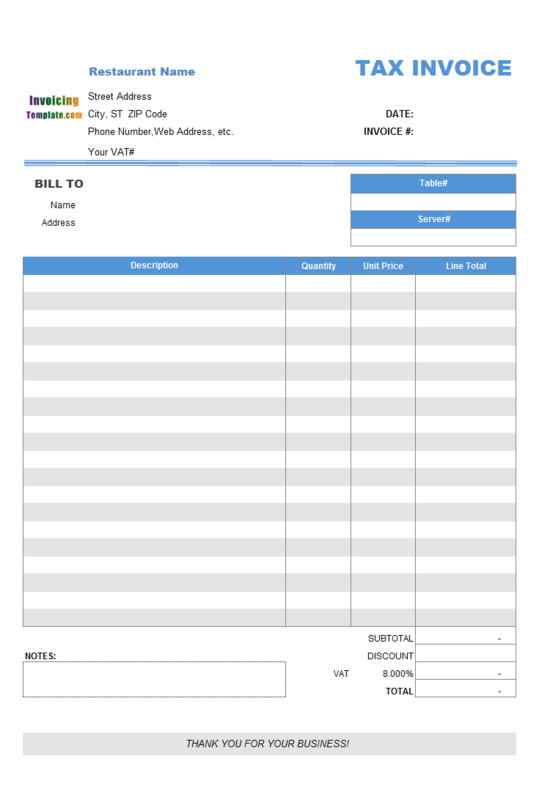 With this sample template, the "Discount" custom field is added to the "Invoice Body" database table. 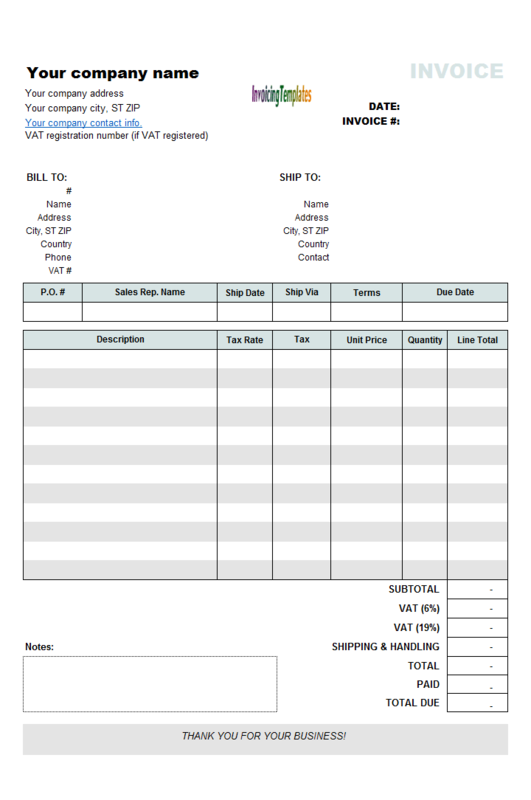 Like other form designs here on InvoicingTemplate.com, Irish Sales VAT Billing Form is free (offered to you at a price of 0.00USD). It works on Windows XP and all newer versions of Windows, and Excel 2007, 2010, 2013 or 2016.